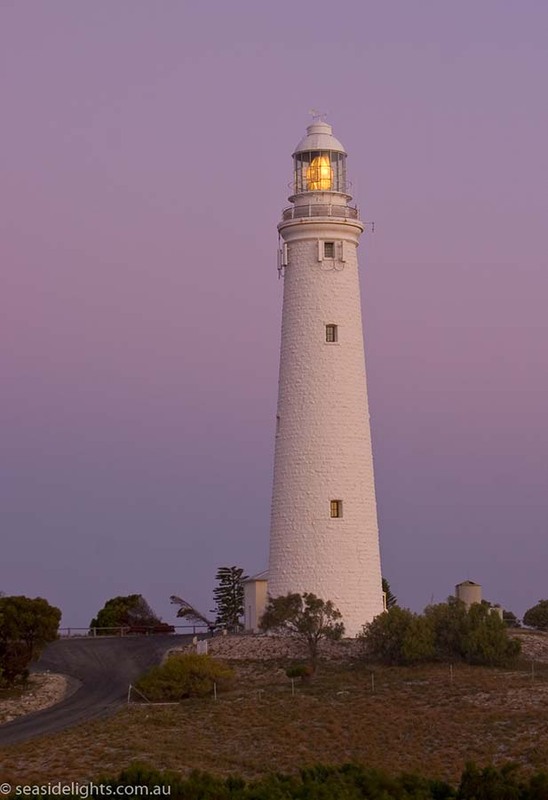 Rottnest Island Lighthouse | Lighthouses of Australia Inc. The original lighthouse on this site was Western Australia’s first lighthouse. 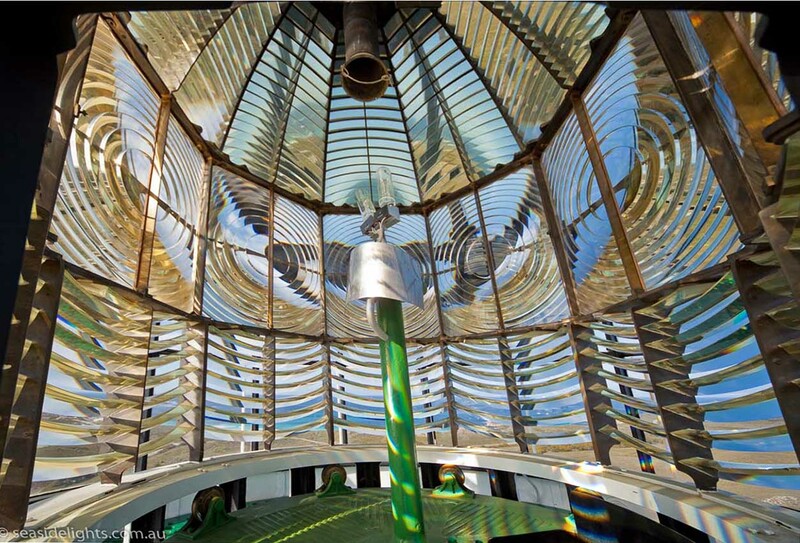 The second, and current, is Australia’s first ever rotating beam lighthouse. Rottnest Island got its name in 1696 when Willem de Vlamingh landed there and found an animal that was a ‘kind of rat, as big as a common cat’. He called the island Rottnest which literally means ‘Rats Nest’. We know these a small marsupials today as quokkas. The island was originally settled by Europeans in 1831, but was taken over by the Colonial Government in 1839 and converted to a penal settlement for Aboriginals. 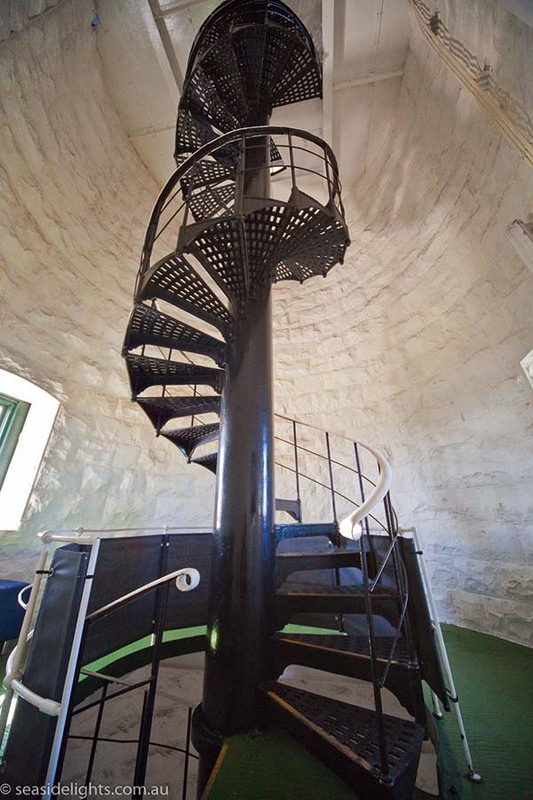 The first lighthouse tower on the island was completed in 1849 using Aboriginal convict labour. Though it was 20 metres tall, it was still 3 metres shorter than originally planned and had taken 9 years to build due to poor skills and the penal environment. Living quarters for the lightkeeper were built around the base. 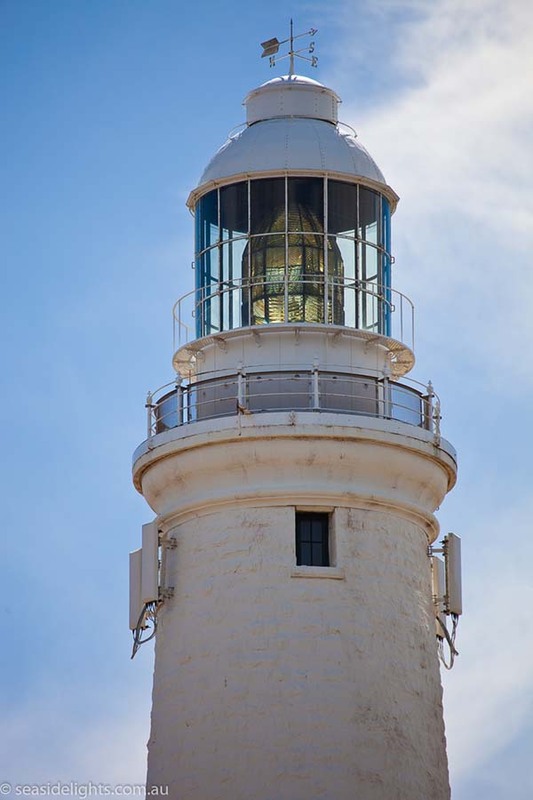 Made from locally quarried stone from Nancy Cove, it was the first lighthouse to be built in stone in Western Australia. 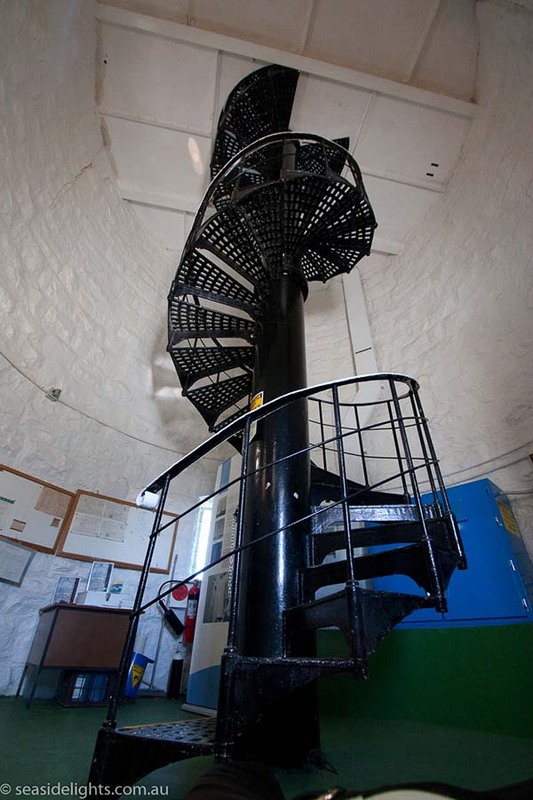 The lighthouse did not operate until 1851 when the revolving lamp and clockwork mechanism was fitted. The machinery for the revolving catoptric light was designed and made in Fremantle. 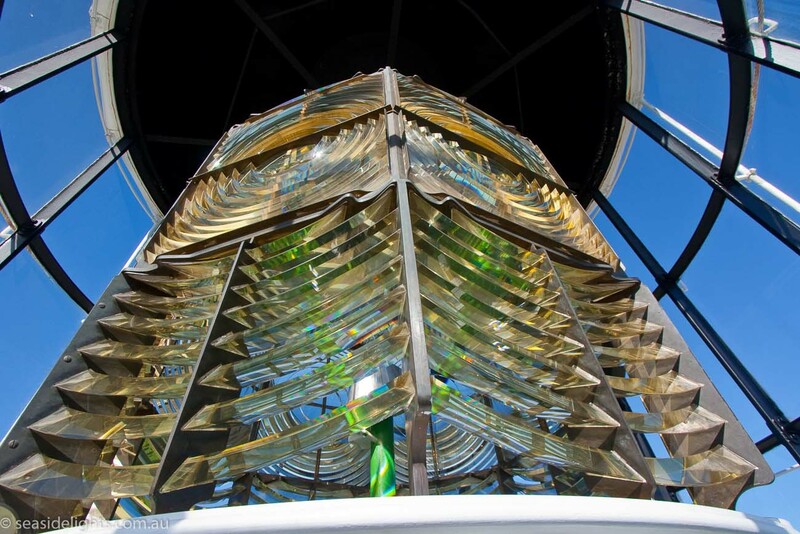 This enabled the light to be opened a year earlier than waiting for a apparatus to arrive from England. The first light flashed for 5 seconds in the minute and was visible for 18 nautical miles. The light consumed some 3 gallons of coconut oil per week, although later kerosene was used as a fuel. 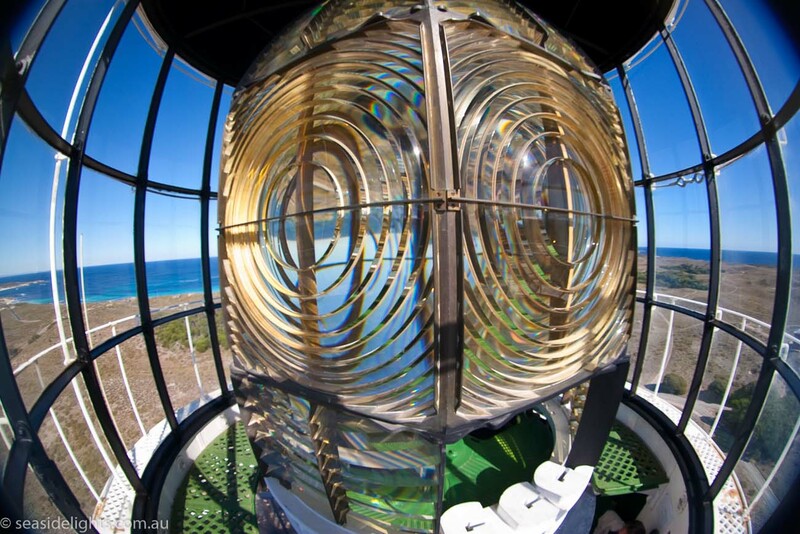 The lighthouse was officially opened on the same day in 1851 as the Arthur Head Lighthouse at Fremantle. In 1881, the apparatus was replaced by a revolving first order dioptric with an improvement in clarity and range. Towards the end of the nineteenth century, it was decided to replace the lighthouse with a new one twice as high and with a more powerful lamp, situated alongside the old one on Wadjemup Hill. The small square stone building adjacent to the lighthouse is all that remains of this first lighthouse. The new tower completed in 1896, was designed by W T Douglass, in London, who was also responsible for the Cape Leeuwin light. Construction was under the supervision of the colony’s Engineer-in-Chief, C Y O’Connor. C Y O’Connor is famous for the water supply pipeline to Kalgoorlie Goldfields in the dry inland of Australia. He took his life tragically when people lost faith in the scheme, and therefore never saw it successfully transform the goldfields to a booming inland city. The new lighthouse, like the first lighthouse, was also built of limestone from Nancy Cove. This time the stone was transported to Wadjemup Hill along a short railway line. 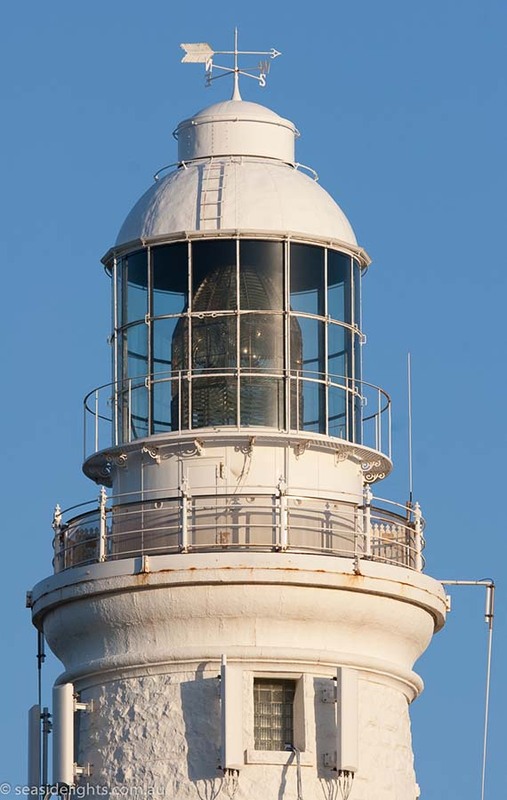 The lantern room was fitted with a focal radius rotating lens (first order dioptric) manufactured by Chance Brothers and Co Limited, Lighthouse Engineers, near Birmingham. A new mercury bath and pedestal with clockwork mechanism was installed in 1929. In 1936, light source consisting of a six wick kerosene burners was converted to electricity and made semi-automatic. The light was converted to fully automatic operation in 1986. The electric supply comes from the island settlements power station. The light was demanned in 1990. 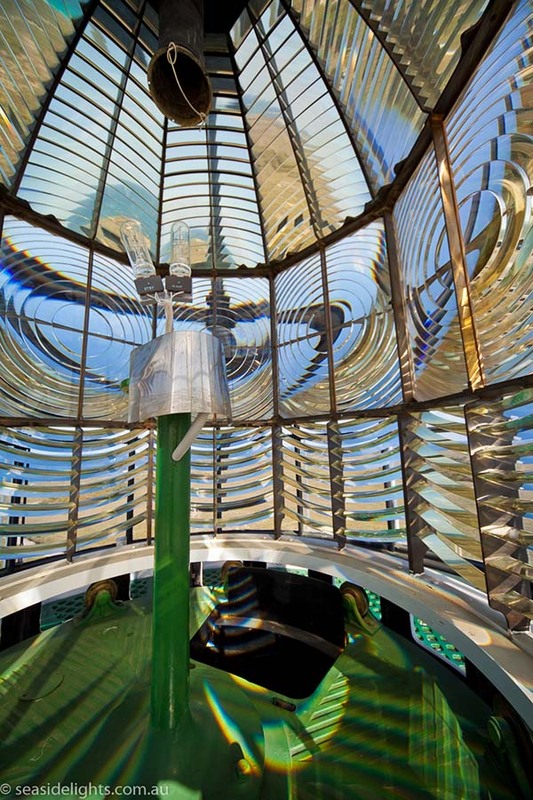 It is interesting to note that the first three lighthouse keepers committed suicide! During the Meckering Earthquake a quantity of the mercury spilled out of its bath. A subsidiary light was established on Bathurst Point in 1900. As a major coastal light, the Main Rottnest Lighthouse was passed to Commonwealth control in 1915 under the Navigation Act of 1912. 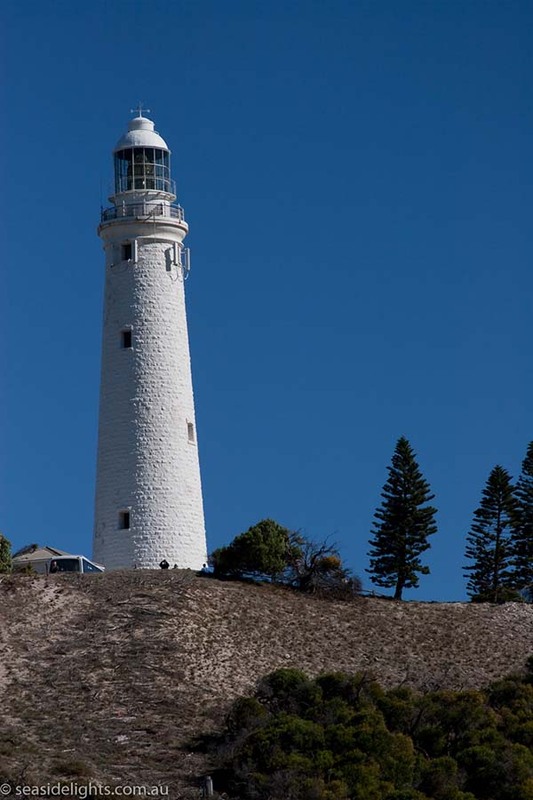 The Rottnest Island Authority has purchased the lighthouse and leased it back to Australian Maritime Safety Authority. Current Optic Chance Bros. 920 mm focal radius 8 panel catadioptric. The lighthouse is on Wadjemup Hill at the centre of Rottnest Island. The island can be reached by ferries that leave from the Barrack Street Jetty in Perth, Northport in North Fremantle or Hillarys Boat Harbour. Flights leave from Perth Airport. It is not known whether tours are conducted.